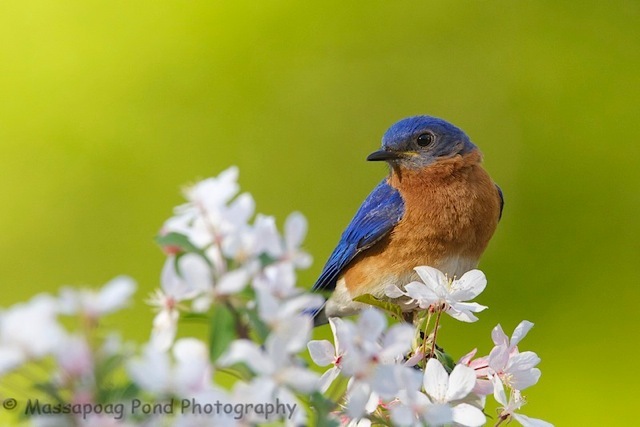 Afternoon folks…I spent a number of hours last week trying to get this photograph of a male Eastern Bluebird on an apple blossom. Late yesterday it happened! Get a 20% discount for ordering this print within the next few days… http://tinyurl.com/bnl8l65 See more details below. We are offering a 20% discount for a 8" X 10" signed and matted photograph of this photo. At checkout enter BLUBIRD to receive your 20% discount. The discount will run through May 20th.